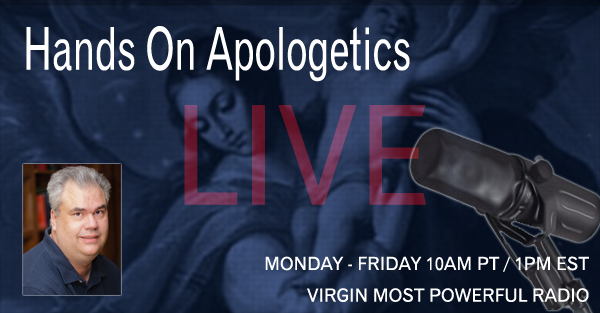 SPECIAL GUEST: TRENT HORN on new book "Counterfeit Christs" Tune in at 1pm EST on Virgin Most Powerful Radio. SPECIAL GUEST: DAWN EDEN GOLDSTEIN joins us to talk about her journey from a Jewish upbringing to the Catholic Church. Tune in at 1pm EST on Virgin Most Powerful Radio. SPECIAL GUEST: DEBBIE HERBECK on her journey of faith from Judaism to Catholicism. Tune in at 1pm EST on Virgin Most Powerful Radio. Copyright(c) 2019 - Gary Michuta. All Rights Reserved.